Blockchain (BC) represents a distributed ledger technology that has been utilized for providing security and privacy in distributed networks. This makes it applicable to the distributed nature of IoT, which still suffers from privacy and security vulnerabilities. However, the core BC technology is computationally expensive and commonly involves high bandwidth overhead and delays not suitable for IoT related scenarios. In order to foster the synergy between BC and IoT, recent research advancements have specifically focused on developing novel BC approaches that are tailored to the requirements and needs of the specific IoT use cases. The paper elaborates the BC–IoT related issues and provides a comprehensive survey of the current literature and relevant initiated deployments. The paper also identifies the key research and development challenges and discusses the possible aspects for future research. Singh, A., Ngan, T., Druschel, P., & Wallach, D. S. (2006). Eclipse attacks on overlay networks: Threats and defenses. In Proceedings IEEE INFOCOM 2006. 25th IEEE international conference on computer communications (pp. 1–12). https://doi.org/10.1109/INFOCOM.2006.231. Natoli, C., & Gramoli, V. (2016). The balance attack against proof-of-work blockchains: The R3 testbed as an example. arXiv:abs/1612.09426. Gervais, A., Karame, G. O., Wüst, K., Glykantzis, V., Ritzdorf, H., & Capkun, S. (2016). On the security and performance of proof of work blockchains. 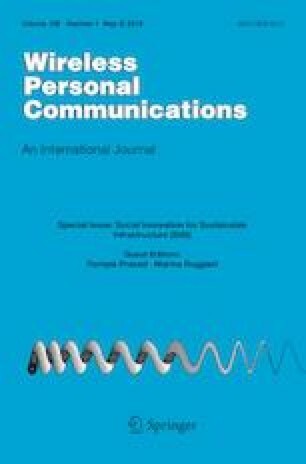 In: Proceedings of the 2016 ACM SIGSAC conference on computer and communications security, CCS ’16 (pp. 3–16). New York, NY: ACM. https://doi.org/10.1145/2976749.2978341. Duong, T., Chepurnoy, A., Fan, L., & Zhou, H. S. (2018). Twinscoin: A cryptocurrency via proof-of-work and proof-of-stake. In Proceedings of the 2Nd ACM workshop on blockchains, cryptocurrencies, and contracts, BCC ’18 (pp. 1–13). New York, NY: ACM. https://doi.org/10.1145/3205230.3205233. Sousa, J., Bessani, A., & Vukolic, M. (2018). A byzantine fault-tolerant ordering service for the hyperledger fabric blockchain platform. In 2018 48th annual IEEE/IFIP international conference on dependable systems and networks (DSN) (pp. 51–58). https://doi.org/10.1109/DSN.2018.00018. Cachin, C., & Vukolic, M. (2017). Blockchain consensus protocols in the wild. arXiv:abs/1707.01873. Zheng, Z., Xie, S., Dai, H., Chen, X., & Wang, H. (2017). An overview of blockchain technology: Architecture, consensus, and future trends. In 2017 IEEE international congress on big data (bigdata congress) (pp. 557–564). https://doi.org/10.1109/BigDataCongress.2017.85. Sedgewick, P. E., & de Lemos, R. (2018). Self-adaptation made easy with blockchains. In: Proceedings of the 13th international conference on software engineering for adaptive and self-managing systems, SEAMS ’18 (pp. 192–193). New York, NY: ACM. https://doi.org/10.1145/3194133.3194150. Liao, C., Bao, S., Cheng, C., & Chen, K. (2017). On design issues and architectural styles for blockchain-driven iot services. In 2017 IEEE international conference on consumer electronics-Taiwan (ICCE-TW) (pp. 351–352). https://doi.org/10.1109/ICCE-China.2017.7991140. Alvarenga, I. D., Rebello, G. A. F., & Duarte, O. C. M. B. (2018). Securing configuration management and migration of virtual network functions using blockchain. In NOMS 2018–2018 IEEE/IFIP network operations and management symposium (pp. 1–9). https://doi.org/10.1109/NOMS.2018.8406249. Azzar, A., & Mottola, L. (2015). Virtual resources for the internet of things. In 2015 IEEE 2nd world forum on internet of things (WF-IoT) (pp. 245–250). https://doi.org/10.1109/WF-IoT.2015.7389060. Samaniego, M., & Deters, R. (2017). Internet of smart things-iost: Using blockchain and clips to make things autonomous. In 2017 IEEE international conference on cognitive computing (ICCC) (pp. 9–16). https://doi.org/10.1109/IEEE.ICCC.2017.9. Ferrer, E. C. (2016). The blockchain: A new framework for robotic swarm systems. arXiv:abs/1608.00695. Golomb, T., Mirsky, Y., & Elovici, Y. (2018). Ciota: Collaborative iot anomaly detection via blockchain. arXiv:abs/1803.03807. Hashemi, S. H., Faghri, F., & Campbell, R. H. (2017). Decentralized user-centric access control using pubsub over blockchain. arXiv:abs/1710.00110. Zhang, Y., Kasahara, S., Shen, Y., Jiang, X., & Wan, J. (2018). Smart contract-based access control for the internet of things. arXiv:abs/1802.04410. Xu, R., Chen, Y., Blasch, E., & Chen, G. (2018). Blendcac: A blockchain-enabled decentralized capability-based access control for iots. arXiv:abs/1804.09267. Dukkipati, C., Zhang, Y., & Cheng, L. C. (2018). Decentralized, blockchain based access control framework for the heterogeneous internet of things. In Proceedings of the third ACM workshop on attribute-based access control, ABAC’18 (pp. 61–69). New York, NY: ACM. https://doi.org/10.1145/3180457.3180458. Atlam, H. F., Alenezi, A., Walters, R. J., Wills, G. B., & Daniel, J. (2017). Developing an adaptive risk-based access control model for the internet of things. In 2017 IEEE international conference on internet of things (iThings) and IEEE green computing and communications (GreenCom) and IEEE cyber, physical and social computing (CPSCom) and ieee smart data (SmartData) (pp. 655–661). https://doi.org/10.1109/iThings-GreenCom-CPSCom-SmartData.2017.103. Xia, Q., Sifah, E. B., Smahi, A., Amofa, S., & Zhang, X. (2017). Bbds: Blockchain-based data sharing for electronic medical records in cloud environments. Information, 8(2). https://doi.org/10.3390/info8020044. http://www.mdpi.com/2078-2489/8/2/44. Dorri, A., Kanhere, S. S., Jurdak, R., & Gauravaram, P. (2017). Blockchain for iot security and privacy: The case study of a smart home. In 2017 IEEE international conference on pervasive computing and communications workshops (PerCom workshops) (pp. 618–623). https://doi.org/10.1109/PERCOMW.2017.7917634. Mylrea, M., & Gourisetti, S. N. G. (2017). Blockchain for smart grid resilience: Exchanging distributed energy at speed, scale and security. In 2017 resilience week (RWS) (pp. 18–23). https://doi.org/10.1109/RWEEK.2017.8088642. SDxCentral: Oracle builds a blockchain cloud service based on hyperledger. (2018). https://www.sdxcentral.com/articles/news/oracle-blockchain-cloud-service-goes-public/2018/07/?utm_source=SDxCentral.com+Mailing+List&utm_campaign=8c5232b1c3-EMAIL_CAMPAIGN_2018_07_16&utm_medium=email&utm_term=0_c2b6e504a2-8c5232b1c3-81947645. Accessed on 16 October 2018. TechTarget: Cisco eyes blockchain messaging for better security. (2018). https://searchunifiedcommunications.techtarget.com/news/252439024/Cisco-eyes-blockchain-messaging-for-better-security?track=NL-1817&ad=920345&src=920345&asrc=EM_NLN_93606076&utm_medium=EM&utm_source=NLN&utm_campaign=20180416_Cisco%20looks%20at%20blockchain%20to%20secure%20group%20messaging. Accessed on 16 October 2018. SDxCentral: Verizon to use ksi blockchain technology developed for estonia. (2018). https://www.sdxcentral.com/articles/news/verizon-use-ksi-blockchain-technology-developed-estonia/2018/02/?utm_source=SDxCentral.com+Mailing+List&utm_campaign=e04f4588f7-SDxCentral+Newsletter+2018-02-13&utm_medium=email&utm_term=0_c2b6e504a2-e04f4588f7-81947645. Accessed on 16 October 2018. SDxCentral: Google is working on blockchain technology, too. (2018). https://www.sdxcentral.com/articles/news/google-working-blockchain-technology/2018/03/?utm_source=SDxCentral.com+Mailing+List&utm_campaign=ab57972ecd-SDxCentral+Newsletter+2018-03-23&utm_medium=email&utm_term=0_c2b6e504a2-ab57972ecd-81947645. Accessed on 16 October 2018. Drops, I. https://icodrops.com. Accessed on 5 December 2018.